This was a dream come true finally for me! I’ve been to Åland few times with a car (last time was 17 years ago!) but now I got there with my motorcycle. This is the 4 days trip to Åland (Swedish)/ Aland (English)/ Ahvenanmaa (Finnish). Åland is here and to get there with a motorcycle you need to take a ferry from Stockholm, Helsinki or Turku… Or a small ferry from Korppoo (Galtby) or from Kustavi (Vuosnainen). If you use these ferries the idea is to spend the night in some small islands before you go to the main island -and that’s what we did. But before we took the boat from Korppoo we spent the night there in Faffas. They had a very nice cabin near the sea! And then 10am it was time for a boat (ferry). This trip (to Föglö island) takes 4 hours! In Föglö we had lot of time to get to know the island. It’s not very big! There’s actually only 1 road that goes through the island, and because of beautiful scenery and some nice curves it is also in motocaching.net: (Road in Föglö). But there is also a very beautiful church and quite interesting hiking path in this island. Our accomodation in Föglö was Degerby Mat & Cafe. Next morning the ferry to the main island left the Föglö at 9am. This was 30min trip. And the first route was a detour from the mainroad to some villages in Högskär. Then we rode to the southside of the “capitol of Åland” (Mariehamn), this was a beautiful road through islands. After this road we rode to the eastside of the main island. First we had this very nice road with some nice bends and then we visited the fire station museum (but it was closed). Then sun was shining so brightly and weather was too hot (about +13 celsius) so I had to go swimming! Did it here. Water was maybe +8… (You can also see a picture of me going swimming here!) We took a short break in Käringsund. 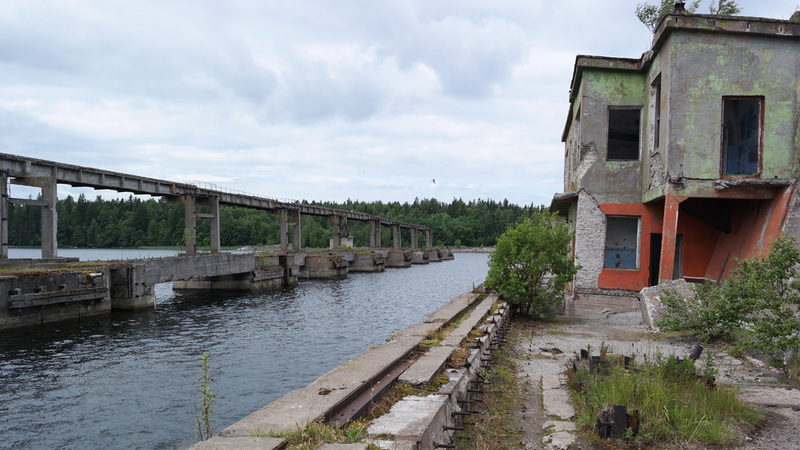 Then we visited Sålis Batteri, this is some fortifications that Russians built even they should not do it. Åland was a demilitarized already 50-60 years before! From the east parts of the main island we moved to north with this road. In the north we visited the Getaberget (and the tower), Havsvidden (with some nice views too) -this place had a great road! And finally visited the Stallhagen Brewery and I bought 2 bottles of beer. This was the first day on the main island of Åland, we spent the night is Strandnäs Hotel. Next morning I took a short tour in Mariehamn (This city has about 11500 inhabitants). Then we started the ride of the day. First we rode to north (again) because there was still few places to visit. First there was Road of Tjudö -this is maybe the best road (for motorcycling) in Åland! It’s definately worth riding! Then we rode to one small harbour again. This was Hamnsundet with small cafeteria (not yet open). After this we took the most famous cafeteria in the island (Uffe På Berget). The altitude in the top of the tower is more than 50 meters above sealevel! And then we went to the castle! There is only 1 middleage castle in Åland, it’s called Kastelholma. This took about 1 hour to walk through the museum and there was some very interesting stories about the people who lived here (or were prisoners). After castle we rode this road: Road of Sund. This was with 2km’s of gravel. 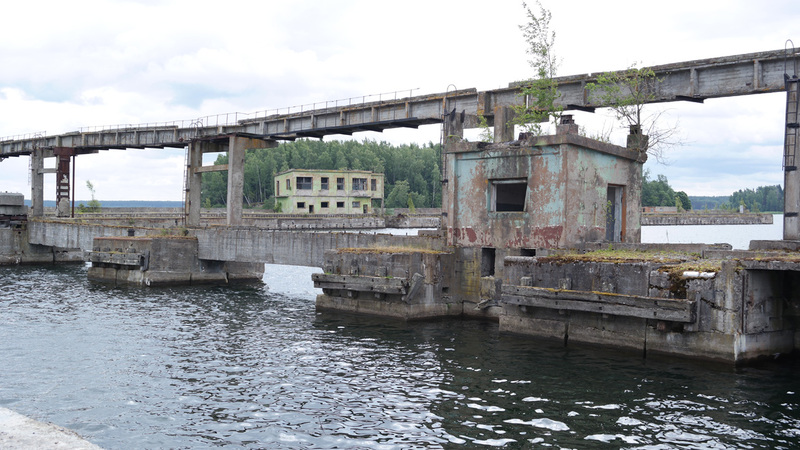 And for the last place we visited Bomarsund fortress. This has very interesting story which ends with Ålands demilitarization in 1856 (In Treaty of Paris). The ferry took us to Brändö islands (4-5 islands in group) and there you have to ride through these beautiful landscapes of the archipelago sea. What a road this is! Our trip in Åland ended about 3pm when the ferry arrived in Vuosnainen in the north side of Turku. (But there is still 1 more ferry after this!). Me with one fellow rider took the jumping start and left a day earlier than the others. 7.30 in the morning we’re already on the way to Tallinn by boat. 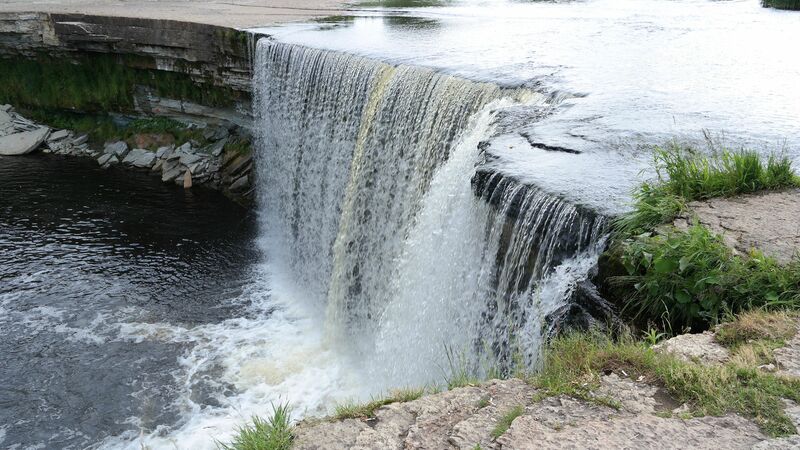 Aafter arriving Estonia we rode east to see Jagala Waterfalls. These look a little bit like Niagara falls but this time there were not much water running. We rode more east to find Leesi Village. From there starts maybe the best road of Estonia with nice bends and corners… Actually there are no real motorcycle roads in Estonia… but at least something. 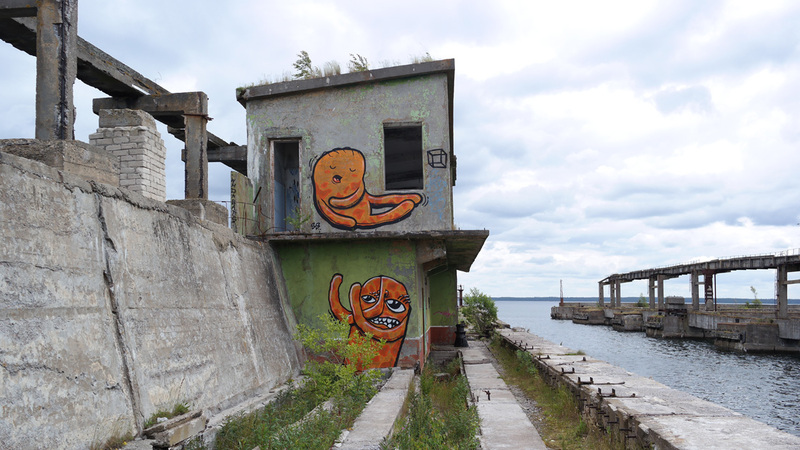 Then there is abandoned Hara submarine base, which was last time used before 1991 under Soviet occupation. After these nice roads and sites we finally took the straight road to Tartu. This was the route of today.